Overtime no matter how big your disk capacity is, it will eventually be out of free space soon . One reason that ate a lot of space are the old files that deeply resides on your file system. To eliminate these old files is what Delete Files By Date is for. 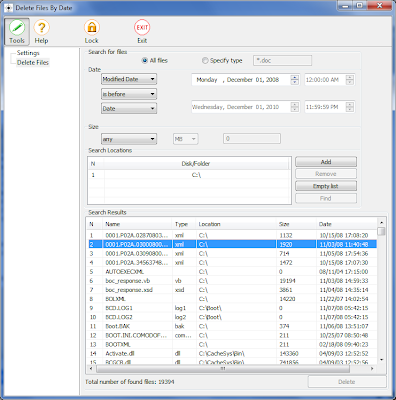 It find and delete files sorted by date and size with one simple click. The usage is so simple, just specify the date criteria, range, file size and locations. 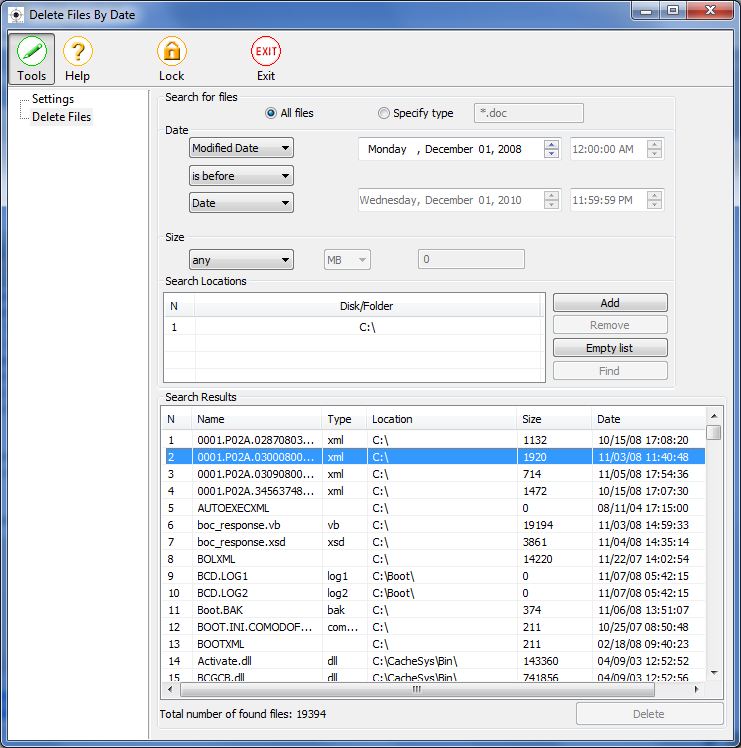 Hit the Find button and it will automatically display all files that meet your search criteria. If your ready to delete them, just click Delete and it is done. It has a built-in password protection to prevent other user from deleting files with this tool. This app is free and can run on Windows operating system. I tested it on Windows 7 x86.